Click HERE to view our Photos on Facebook! Flat Jesus has visited some great people and amazing places this summer. Though Jesus is always with us, Flat Jesus will be on vacation until next summer. 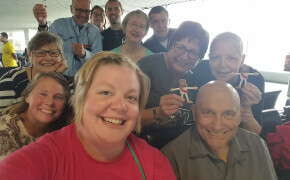 For a look at all of the 2018 flat Jesus adventures visit the Bethel Lutheran Church Hudson Facebook page.